Other than those few brave/crazy folks who choose to patrol and attempt to protect certain city streets in their homemade outfits — we know that superheroes are only something out of comic books, movies and television shows. Often all three in this day and age. So there’s not really a Bruce Wayne or Clark Kent walking among us or if there is, they have no alter ego. However, there are those with whom we can draw comparisons. Elon Musk is not genetically altered like the Hulk (as far as anyone knows), he is not from another realm like Thor or both genetically altered and from another time like Captain America. (yes, apparently Forbes has estimated net worths for fictional characters). Even his net worth is higher than the fictional Stark. Well not quite the same, they both have their vices at least. While Musk started his companies on his own, Tony Stark inherited his company from his father but Elon Musk’s growth to multi-billion dollar valuations is not unlike Tony Stark’s ascent to becoming Iron Man or changing Stark Industries from weapons to more positive industries. After being attacked as part of an Army convoy, Stark was held in an in a cave/prison where neither his mogul status nor his billions of dollars were of any use to him. All he could do was use his brain to escape and to do so — he had to become Iron Man. Musk was never a prisoner of any kind — he grew up in South Africa in a middle-class family — but his growth to who is he today and the companies he has started were completely self-made much like Iron Man’s suit. His parents strongly encouraged reading and education when he was young and Musk took to both with vigor. He began to code at the ripe old age of 12 and after his family moved to North America, he went to university in Canada and the United States. Starting at Queen’s University and eventually graduating the University of Pennsylvania. Then he started his own company, Zip2, he sold it for $21 million and used $10 million from the sale to launch a second company — X.com. X.com then merged with a company you may have heard of: PayPal. Iron Man’s suit changed and evolved. Once Tony Stark was out of the prison (the whole purpose for his suit in the first place) and back in his offices, he continued to make improvements. Make the suit better, more efficient with more features. He didn’t have to do so, he could have just went back to work or even retired but he continued with his suit and becoming Iron Man. Musk’s entrepreneurial ingenuity evolved as much as the Iron suit which went from Iron and Copper to a Molecularly aligned crystallized iron over a base of titanium nitride. 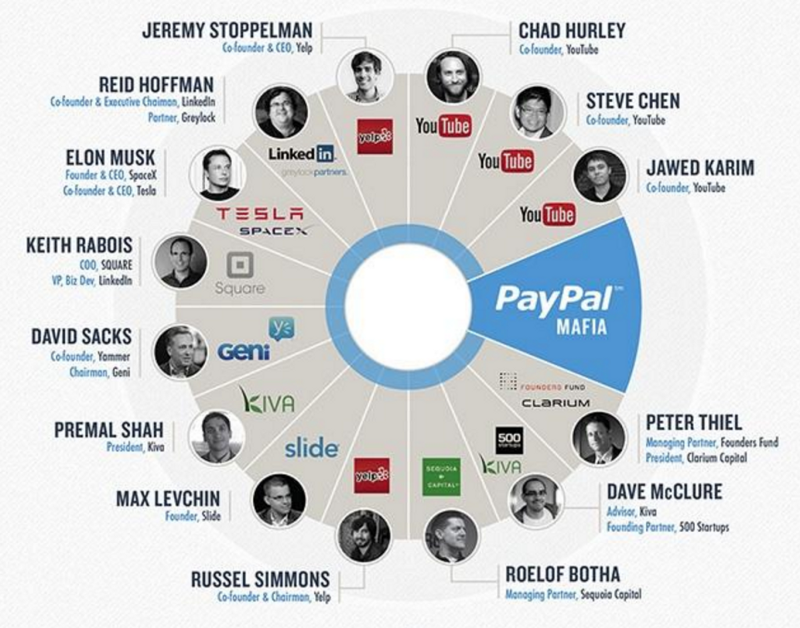 You see after PayPal was sold to eBay for $165 million when Elon was just 31 years old, he could have easily retired. That is more than enough money for anyone to live off quite extravagantly for several lifetimes. When we say he invested every penny, we mean EVERY PENNY. He had to borrow money for food and rent as he worked tirelessly to build each company. Investing less in any of them and they may not be around anymore. As it was, SpaceX was near failure when their final attempt at a launch finally proved successful. After a while, Tony Stark built an army of Iron Man suits and so Musk built an army of tech companies. Stark invented the Arc-Reactor. Musk launched HyperLoop. The real Elon even has the potential to one-up the fictional Iron Man. Aside from all his other ventures he also wants to explore Mars with the hopes of one day colonizing the planet and he owns the company that could help make that a reality. It’s not just a pipe dream. We have put a machine on Mars, we’ve flown past it, but Elon wants to put a human there for the first time. Science lesson — the temperature on Mars hovers around -29° which is not overly hospitable to humans even those who are used to living in Canada. Worry not, as Musk has a plan for that which would entail dropping thermonuclear bombs on each of Mars’ poles to artificially heat the planet. He’s about one step away from putting on a metal suit and just doing that himself. Why does he want to do this? Because Musk realizes that colonizing Mars may be the only way for humans to exist in the future. And between electric cars which will slow down the deterioration of our ozone layer or SolarCity which aims to make Solar energy the number one energy source — Elon could save civilization as a whole. We could go over the similarities or you can just listen to the director of 2008’s Iron Man who said that the Tony Stark/Iron Man we see in the movie was based on Musk himself. He’s changing the world with technological advancements: high-end electric cars, solar energy, and rocket ships. And so it goes. He may not be like the Iron Man that you would see in the comics or movies. He is the real-life Iron Man that we can all emulate and appreciate.